“Some of the Pharisees and teachers of the Law said to Jesus, ‘Teacher, we want to see a miraculous sign from you.’ He answered, ‘A wicked and adulterous generation asks for a miraculous sign! But none will be given it except the sign of Jonah. For as Jonah was three days and three nights in the belly of a huge fish, so the Son of Man will be three days and three nights in the heart of the earth’” (Matthew 12:38-40). It doesn’t seem like it would be wrong to ask Jesus to do a miracle; after all, He had been doing many miracles in their midst. But, this request was met with a sharp rebuke. That’s because Jesus could hear what their hearts were really saying, and it wasn’t good. Jesus did at times chide people for their lack of faith, but He saw this request as being wicked because it wasn’t from someone who wanted to serve. It was from someone who wanted to be lord. They were really saying, “Jesus, if you will do this for us then we will believe.” It’s the same demand that Satan tried in the wilderness: “[Jesus}, if you are the Son of God, tell these stones to become bread”(Matthew 4:3). “[Jesus], if you are the Son of God, throw yourself down and the angels will catch you up”(Matthew 4:6). “[Jesus], all this I will give you, if you will bow down and worship me” (Matthew 4:9). It’s the same tune, different singers. These Pharisees and teachers of the law had placed the god of self on the throne that rightly belonged to Jesus. The power of God displayed through miracles isn’t for our entertainment; it is for healing the sick, delivering the oppressed and saving souls. 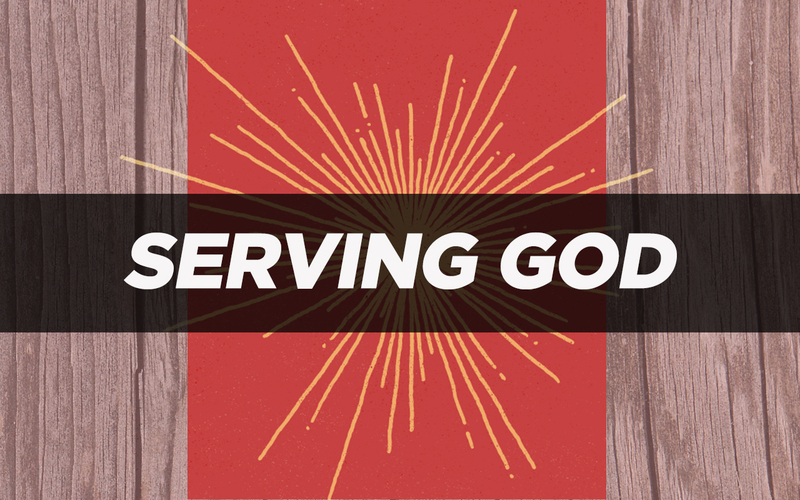 It’s interesting that the power that raised the Lord of Glory from the dead only works through servant’s hands. Men, there’s nothing wrong with asking God for a miracle. He said, “Call upon Me in the day of trouble; I will deliver you and you will honor Me” (Psalm 50:15). He is honored when we call upon Him, when we admit we need Him, when we rightly place Him on His throne.